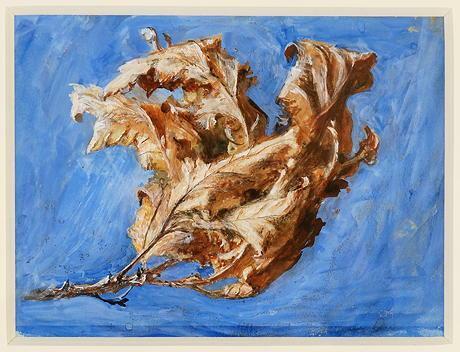 John Ruskin, Study of Spray of Dead Oak Leaves, 1879. Watercolour and bodycolour on paper © Collection of the Guild of St George / Museums Sheffield. • John Ruskin, the Power of Seeing at Two Temple place, from 26 January to 22 April 2019. MILANO – When one says Piccolo Teatro, we immediately think of Giorgio Strehler (1921-1997), who in the eyes of the world embodied the soul of the famous theater from Milano. Actually, he had an alter ego who has been widely forgotten, especially out of Italy, Paolo Grassi (1919-1981). Together or separately, they led it for half a century, from its creation in 1947 until 1997. Grassi was neither an actor nor a theater director, but rather an organizer, and the first real “cultural manager” in Italy according to this exhibition that is a tribute to him and his work. A true jack-of-all-trades, he not only delved in the theater adventure, but also worked with opera at the Scala (1972-1977), he programmed the first live broadcasts, worked with public television, created the number one cultural TV station, Rai3, and went on to work in the publishing world at the highest level as president of Electa, the greatest Italian publishing house of art books. He unfortunately died too young, from heart trouble. • Paolo Grassi at the Palazzo Reale, from 26 January to 24 May 2019. Jean-Jacques Henner, Reading, 1883 (detail) © RMN-GP (musée d'Orsay)/ Hervé Lewandowski. PARIS – Sonia Rykiel shared a characteristic with nearly 1% of the world’s population: she was redheads. While in the past this trait was considered mainly Jewish or for ogres, today it is spontaneously believed to be an Irish trait. It is strange that there is a specific word in France where there are few redheads, while English simply uses the color – red- and Italians, in a similar way, rosso. Henner, a discreet painter from the 19th century (1829-1905), had a preference for the color, but waited until he was practically forty years old when he finally represented it with his Idylle in 1872. After that he became almost obsessed with it and used it for many of his female models. France and Belgium have the novel Poil de Carotte and the comic strip Spirou, but who knows that the Papua idols are also painted in that color? The exhibition plays with these alignments between eras and civilizations. • Roux, de Jean-Jacques Henner à Sonia Rykiel at the musée Henner, from 30 January to 20 May 2019. LONDON – The Tate explores three decades of the works by the former Fauve artist. As of 1912, at the age of forty, he dedicated himself to his real passion, color and did so increasingly until his death in 1947. Simple, calm indoor scenes hang next to others that burst with color, and to some nudes as well. VALENCE – This year the anniversaries of 1919 and 1969 are being celebrated. The IVAM has decided to focus on the year 1989, another great vintage year, and just as important as the others. Of course it witnessed the fall of the Berlin Wall, as well as that of a certain number of regimes, among which the one of Ceauscescu, as well as the decline of apartheid. For the curators of this exhibition, this year is also the advent of multiculturalism, the first step towards globalization. • 1989 at the IVAM, from 24 January to 19 May 2019. • Rodin, dessiner, découper, by Sophie Biass-Fabiani, Hazan, 2018, 192 p., €35.